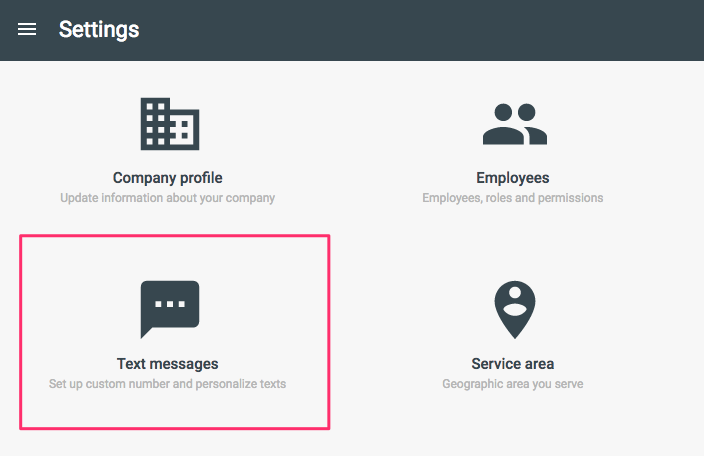 Follow these steps to set up your Custom SMS number. This is the number your automated texts will come from and gives you the ability to send your customers invoices and estimates via text. 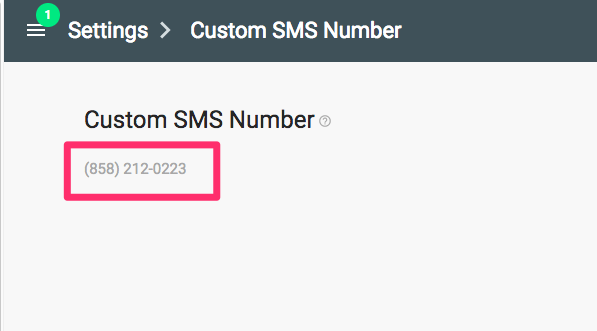 Click here to learn more about what a Custom SMS number is. 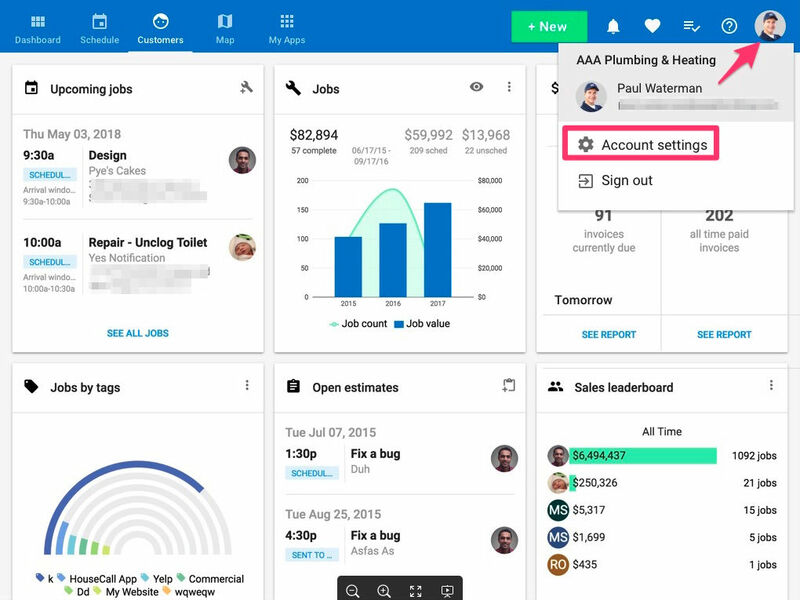 To set up your Custom SMS number, navigate to your dashboard and click on the user icon in the upper right corner, then go down to Account Settings. 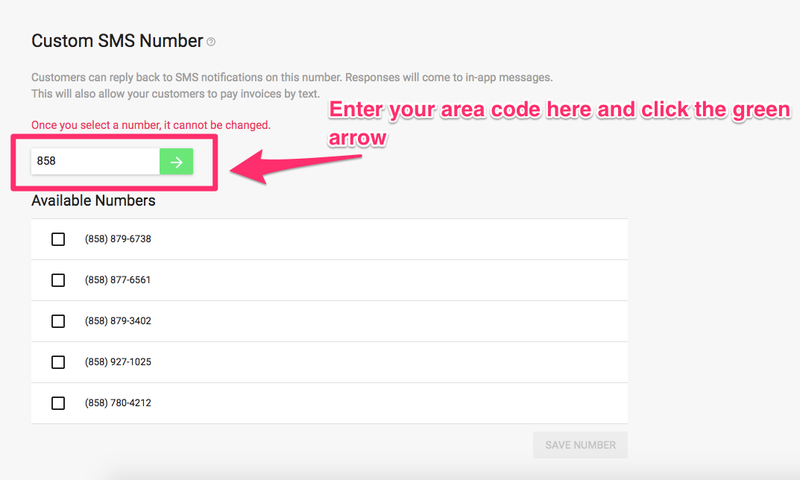 Enter your area code and click the green arrow. A selection of available numbers will appear. Chose the one you want and click 'Save Number.' Remember that once you've selected a number, it cannot be changed. 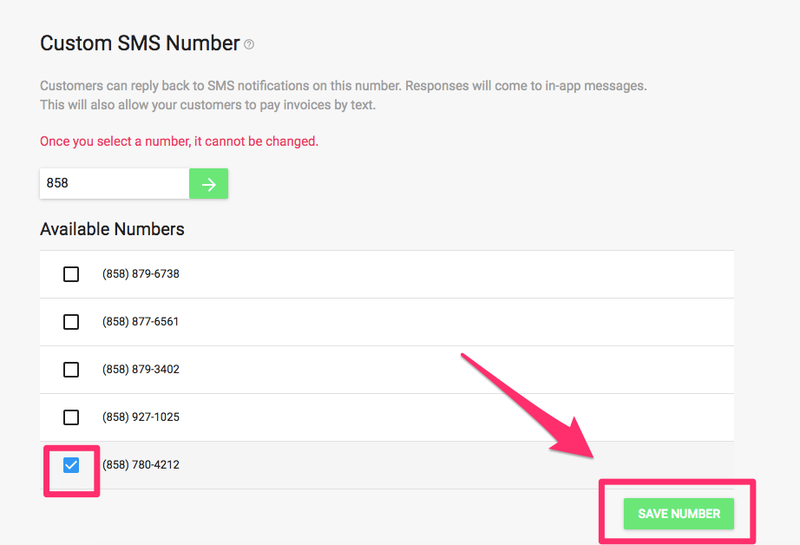 Your custom SMS number has now been set!